Mining has been integral to Nevada’s history and the state has fostered a thriving industry with associated development expertise, construction and operations services and a mature regulatory environment. Nevada’s mining GDP in 2015 was $4.6B and the industry provided almost 14,000 high-paying jobs. Put simply, Nevada is a mining powerhouse and a significant economic engine for the country. For more than a decade, the Fraser Institute, a private organization that conducts annual surveys of business opportunities around the world, has consistently ranked Nevada as among the top most favorable mining jurisdictions in the world. In making its rankings, the Fraser Institute considers regulation, taxation, infrastructure, and political stability. 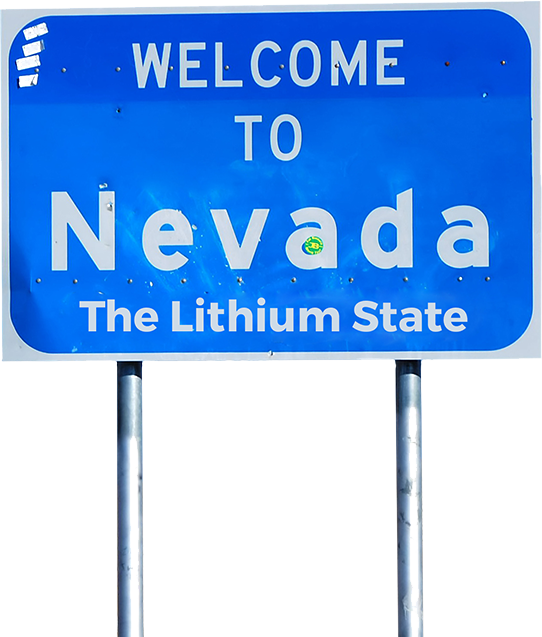 Although Nevada is known as the Silver State it is home to North America’s only producing lithium mine, Albemarle’s Silver Peak Mine. Nevada is uniquely positioned to support the global surge in energy innovation, electric vehicles, and battery technology through lithium mining. Aside from its favorable geology for lithium brine, Nevada’s access to public land, streamlined permitting and supportive State government are the most important factors that are attracting mining companies. Lithium is a strategic element linked directly to high technology, clean energy, and climate change legislation. A well-conceived long-term U.S. energy policy could depend on developing a robust domestic lithium-ion battery manufacturing sector. The Department of Energy estimates that U.S. demand for lithium batteries will increase significantly over the next 20 years, reducing U.S. foreign oil dependence and carbon emissions. As lithium demand increases, Nevada’s founding industry – mining – is primed to carry the state and the country into the future. In 2014, Nevada hit the clean-energy economy jackpot: Tesla Motors announced it will build its gigafactory—one of the most anticipated assembly plants of all time—near Reno. The plant represents an estimated USD$100 billion in economic benefits for the state, plus 6,500 jobs with a USD$1.25 billion 20-year tax incentive package. Production commenced in early 2016 and Tesla celebrated a partial grand opening in July 2016. The Clayton Valley lithium deposit is a salty groundwater (brine) with high levels of lithium contained in a series of aquifers. The brine is ‘mined’ by drilling boreholes into the aquifers and pumping the brine to surface for lithium removal. The lithium brines are hosted within unconsolidated sediments (gravel, sand, silt, etc.) that infill the extensive and deep basin beneath Pure Energy’s claim area. To date, Pure Energy has encountered lithium-bearing brines from approximately 130 metres (450 ft) below ground level, down to approximately 600 metres (2,000 ft) below ground level in the northern portion of the property. Geophysics suggests that similar brine-bearing formations encountered so far during drilling and other attractive host horizons extend to much greater depths within the basin (up to 1,500 m or 5,000 ft).